Welcome to “The Gem of the Fox River Valley,” where Algonquin bed and breakfasts welcome you to the perfect getaway from urban life. 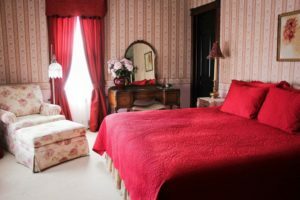 Instead of visiting impersonal Algonquin, IL hotels, why not stay at a member inn of the Illinois Bed and Breakfast Association, where comfort and friendship are the norm? Discover the town and return to our comforting Algonquin accommodations for relaxation, comfortable beds, and a great breakfast to start the next day of your visit. Located on the banks of the Fox River, Algonquin offers many water recreation options. Old Town Algonquin is a perfect pedestrian destination and is home to Victorian homes, local shops, restaurants, and three picturesque parks. The Fox River Trail and McHenry County Prairie Path both pass through Old Town for recreational use. During the summer months, be sure to visit the downtown Algonquin farmer’s market, attend Algonquin’s summer concert series held in parks throughout town, shop at the Summertime Arts and Crafts Faire at Algonquin Commons, and enjoy the annual Algonquin Founders’ Days. If you visit in the fall, be sure to visit the Old Time Country Harvest Festival. This October festival features a farmers’ market, cemetery walk, and other activities, in the Old Town District. Winter brings holiday carriage rides to Algonquin, and the annual “Holidays on the Fox” festival is held in early December. The inn members of the Illinois Bed and Breakfast Association invite you stay with us and discover Algonquin!